further than the new 2018 Ram 1500 Sport Hydro Blue which will be available in very limited numbers the UK from early 2018. The custom, high-impact colour of the new special-edition 2018 Ram 1500 Hydro Blue builds on the durability and power of the Ram 1500 with an alternative appearance and attitude that stands out everywhere. 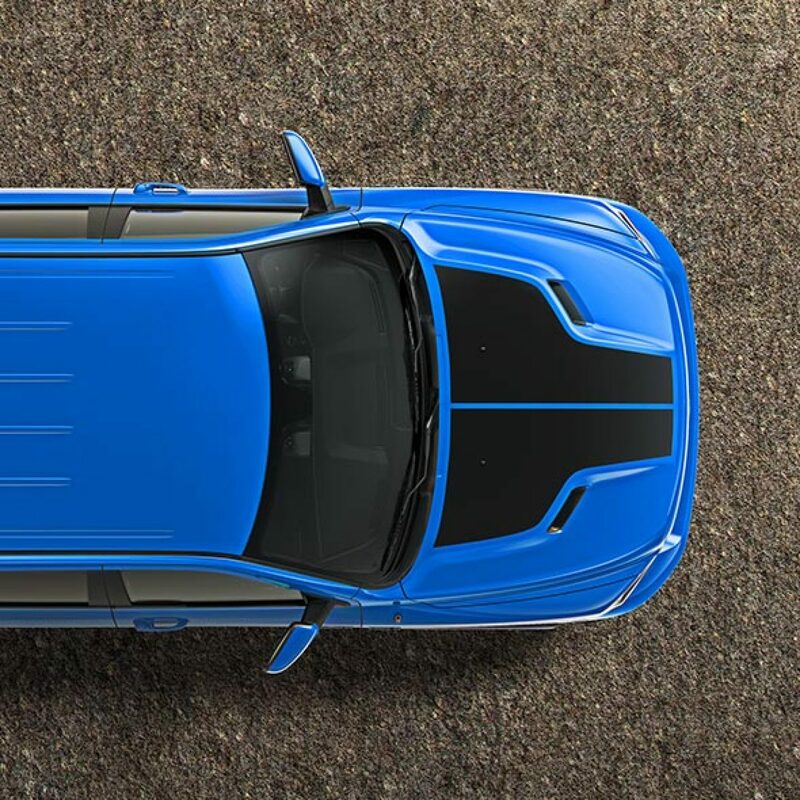 The 2018 Ram 1500 Hydro Blue is this year’s final special-edition Sport model, and includes a Hydro Blue monochromatic appearance package with details designed to complement the new, cutting-edge paint colour. In addition to the Hydro Blue paint colour, this special-edition truck includes a black-decaled Sport Performance Hood, a body-coloured Sport grille which is new for 2018 and includes black billet inserts and black R-A-M letter badge. The trucks also features flat black exterior body-side and tailgate badging. These details combine for a menacing, athletic appearance that looks as good on the road as it does parked. 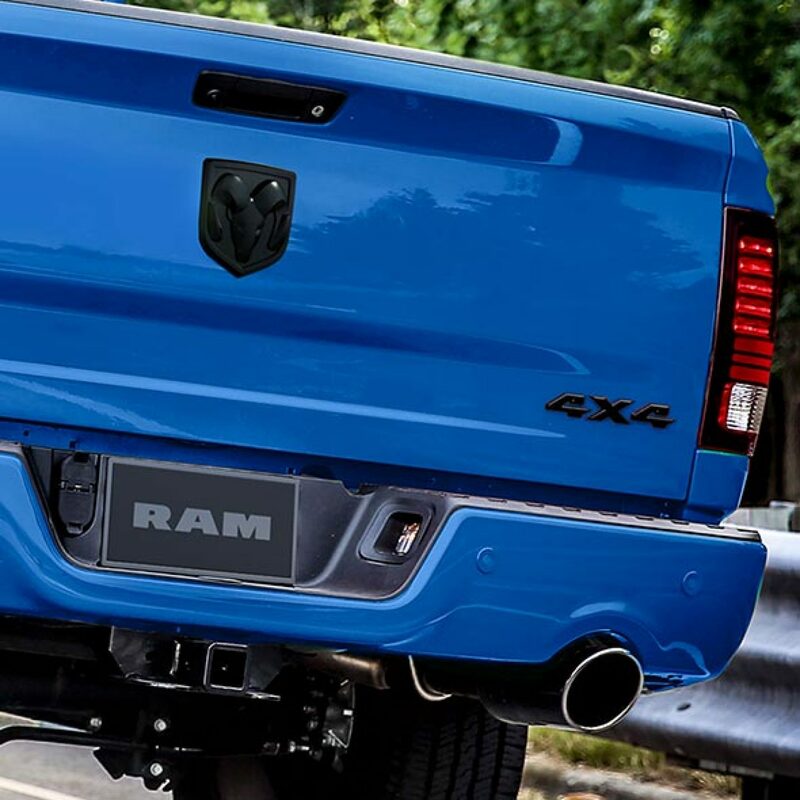 When it comes to details, the special-edition 2018 Ram 1500 Hydro Blue doesn’t miss a single mark. The black bezel projector headlamps and LED taillamps complement the black body-side badging, and the monochromatic exterior theme is tied together with a body-colored front fascia, rear bumper, side mirrors and door handles. 4×4 models feature 20-inch aluminium wheels. Inside, the special-edition Ram 1500 Hydro Blue Sport takes comfort and style up a notch with features like blue colour-matched highlight stitching on the instrument panel, heated steering wheel and door trim. Blue Sport embroidery accents the deluxe high-back black bucket heated front seats with mesh inserts, while blue Ram’s-head logos flank the headrests. Blue anodised surfaces cover the instrument panel bezels, centre console trim, door spears as well as a new instrument panel badge. A black headliner rounds out the interior package, and leather-trimmed seating is optional. We are delighted to be able to offer a very limited number of these special edition trucks for delivery early in 2018. Please contact us to reserve your new Ram. We provide great trucks with after sales service to match. Whatever model or colour of Ram you are interested in, please give us a call, we are pleased to help. 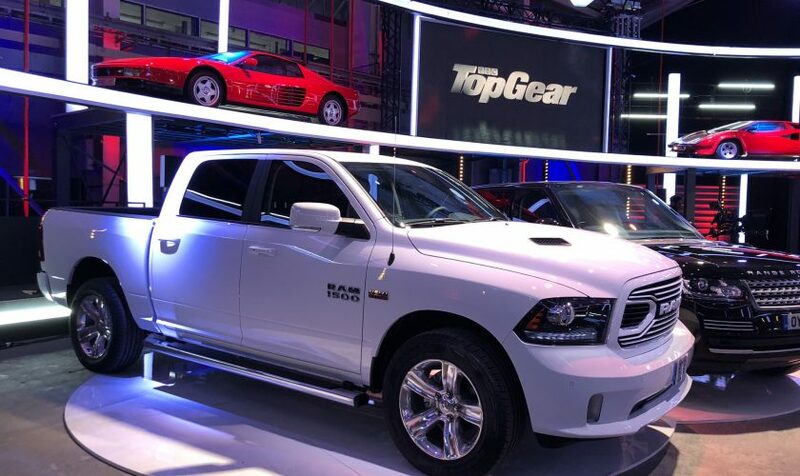 If you want to further personalise your Ram we are pleased to offer a full American Bespoke service. From colour ceramic coated exhausts to full body wraps, from supercharger upgrades to body lifts and from custom wheels and tyres to bespoke bumpers and bodywork we can help.